"Broad Windsor Fava Beans" planted in our outside garden... Their origin is reportedly the Mediterranean region and their history dates back to at least Bible times. Favas are commonly used in Middle Eastern, Greek and Italian cooking. It is an English favorite listed in 1863. Broad Bean 'Green Windsor' is shorter and broader podded than the Longpods, and slightly later to mature, but remains amongst the best of the heritage varieties for flavour. This flavoursome broad bean averages 4 large, dark green beans per pod which are superb for making soup or as a cooked vegetable. Any surplus beans will freeze well without discolouring. Height: 100cm (39"). Spread: 45cm (18"). Companion planting: Try growing broad beans with summer savory to help repel black bean aphids, a common pest of broad beans. Special germination instruction: Soak seed for 12 - 24 hours before sowing in early spring. Plant 4 inches apart and 2 inches deep in rows 4 feet apart. To ensure well filled pods, pinch off the top as soon as the pods begin to set. Harvesting: Favas are at the peak of flavor just before the hilums, the saddle-shaped scar at the end of the seed turns brown. Fava beans can be harvested during several stages of development: a) when young, 2"–3" long to be eaten whole, b) when the pod shell turns green and the bean is a light green color to use the beans fresh, or c) when shell turns hard and brown and seeds inside are dry to store on the shelf for cooking at a later date. Takes 85 days to mature. Reward your taste buds! Young pods can be eaten like snap beans. Pinch off the foliage tips for one of spring’s tastiest greens. Best of all, shell the beans and cook when still green for a sweet, flavorful treat. The beautiful white and black flowers on an upright plant make Windsor pretty enough to use in flower beds! Grow favas in cool conditions, while temperatures are below 70°F. 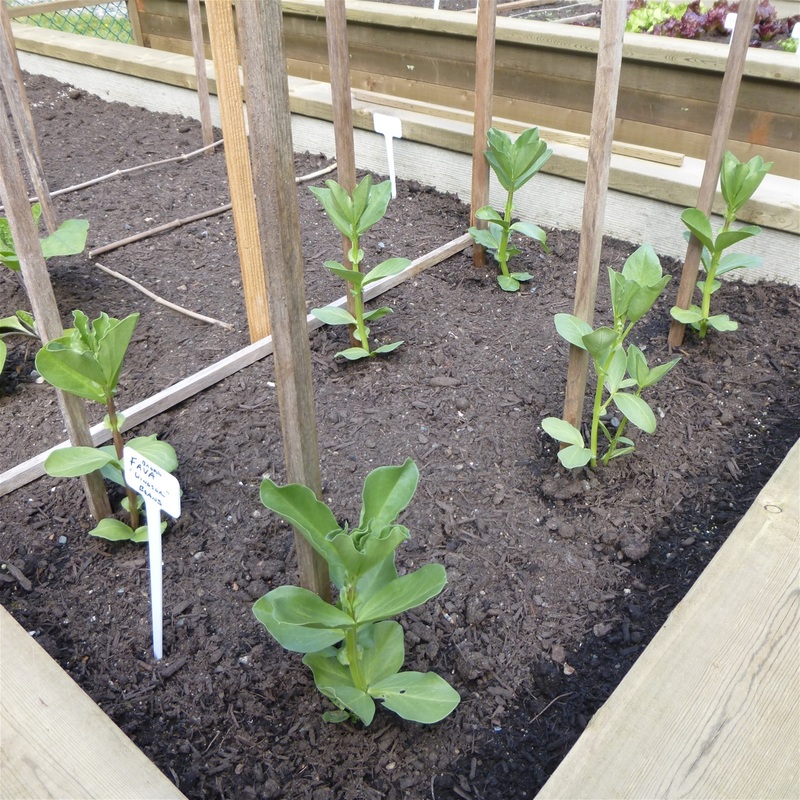 Neither a “pole” nor a “bush” type bean, the 2' - 4' tall favas require staking only in high wind areas. All parts of the fava plant are edible. The seeds are high in protein, vitamins, and minerals, and have been a cornerstone of human nutrition for thousands of years. The beans may be eaten fresh and green, or dried for future use. Properly dried beans will keep for three years. Many people enjoy the leaves of the fava plant, preparing them similarly to spinach." Caution: *"Some people display intestinal insult after ingesting raw fava beans, which is an indication of an allergy. Logically, this sensitized group should avoid the uncooked beans or leaves."